We have large airy stables with ample bedding to create a healthy and comfortable environment for the horses. Turnout is available all year round. We only turnout horses in pairs to try and avoid any kicking and other accidents. We have a cross-country course, showjump paddock and 2 outdoor ménages; 20m x 40m sand & pvc school and 65m x 35m soft track (rubber & sand). The use of these facilities are included free of charge with livery. 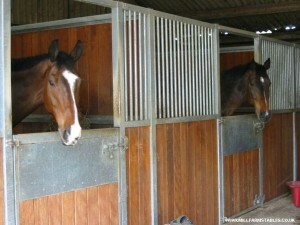 At Mill Farm Stables we can offer any type of livery individually arranged to suit the client. 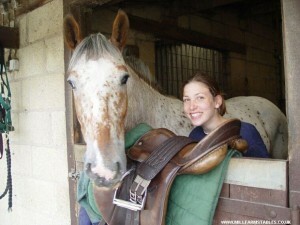 Full livery includes everything a customer would like for their horse. It can be tailored to meet any requirements as regards food, bedding, exercise, turn out, etc. This is where we use the horses in the riding school (no hacking) but still provide the horses with the best of care as above. Horses or ponies would be free on Sundays as we don’t teach on either Sundays or Mondays. 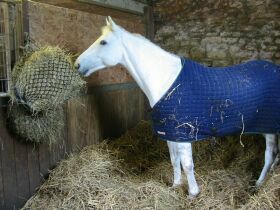 This is a cheaper way of keeping horses at livery without compromising their care. Endless variations on the above are included in part livery. For people who work during the week we can offer full livery Monday to Friday and DIY livery at weekends.